I always have so many issues with earrings so I am glad that I joined the New Earrings Monday Challenge. This wonderful challenge is the brainchild Sarajo of SJ Designs. This is actually going to be a quick post where I am just sharing a couple pairs of earrings as I have been blessed with a kidney infection and the antibiotics I am on make me nauseous. I just wanted to make sure that I shared what I have made since this challenge really has gotten me to make more earrings. I'm so sorry that you have been dealing with a kidney infection... I hope you feel MUCH better super soon. I'm impressed that you felt like making anything for this week. 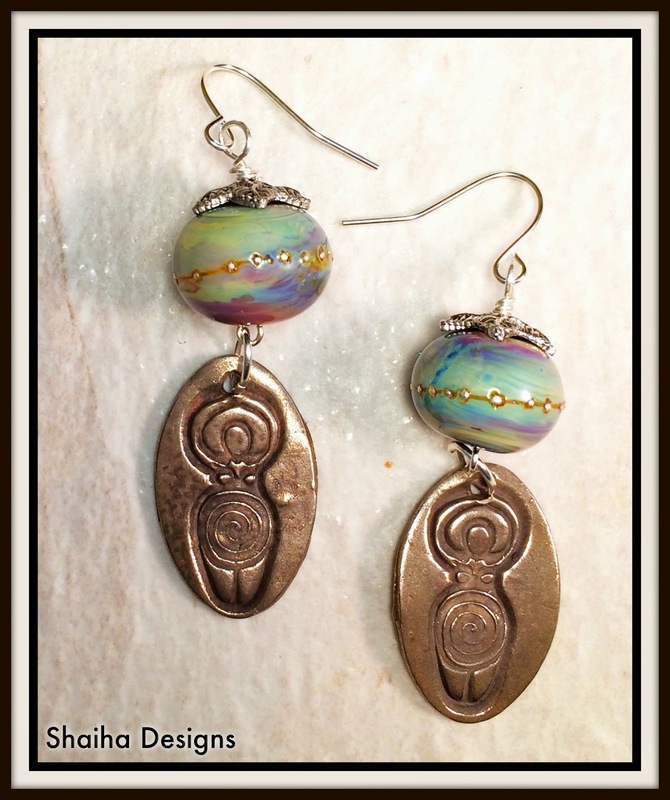 The lampwork in your first pair is just lovely and I love the way you paired it with those cool goddess charms. Your second pair are so fun and sparkly. I'd want to wear them out dancing! I'm so very glad that you are playing along with me and that my challenge has inspired you! I hope you are feeling better soon! The first pair is so fun - those beads and charms go perfectly together. 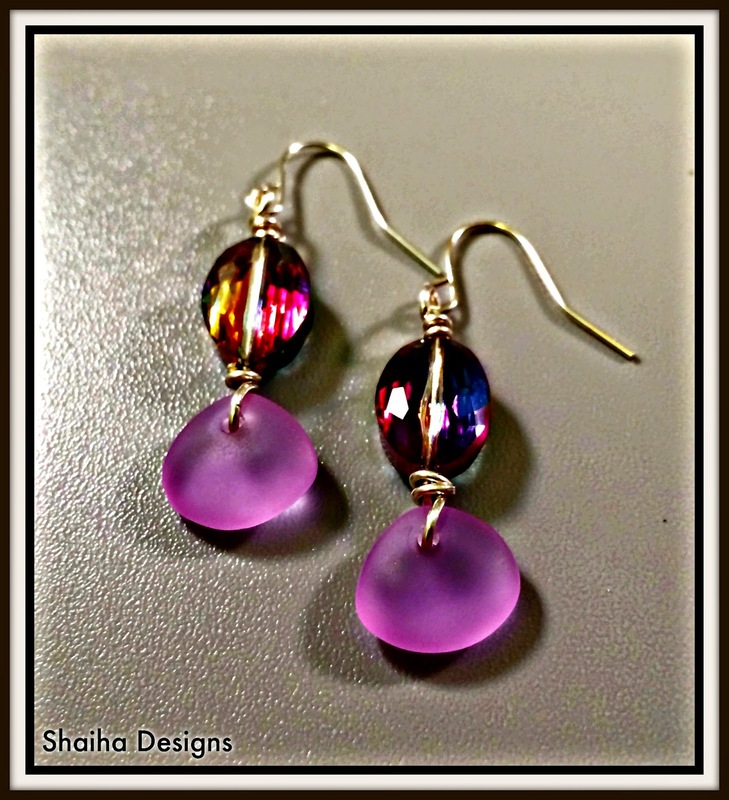 I love anything purple, and the energy of the second pair is effusive!